Bukhara (amazing Indian food) in my belly! 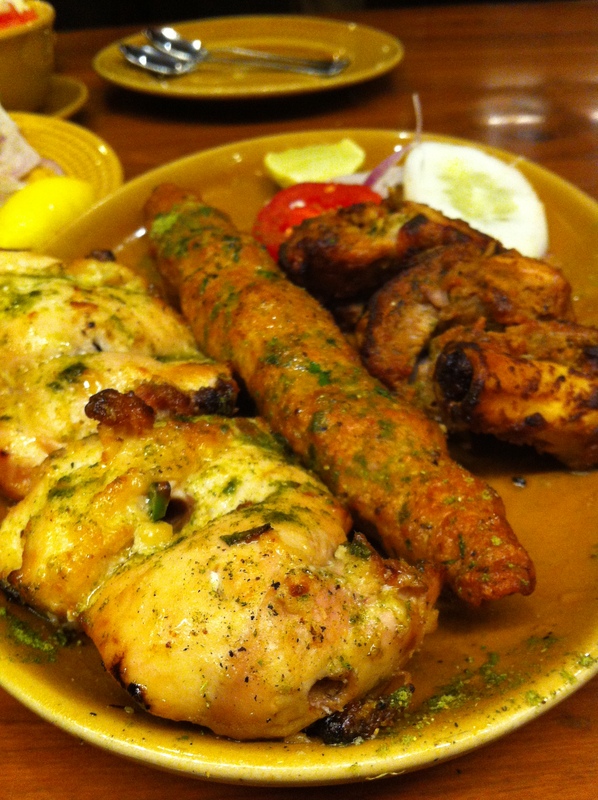 Our trip to India was a culinary treat. We ate amazing food every day. 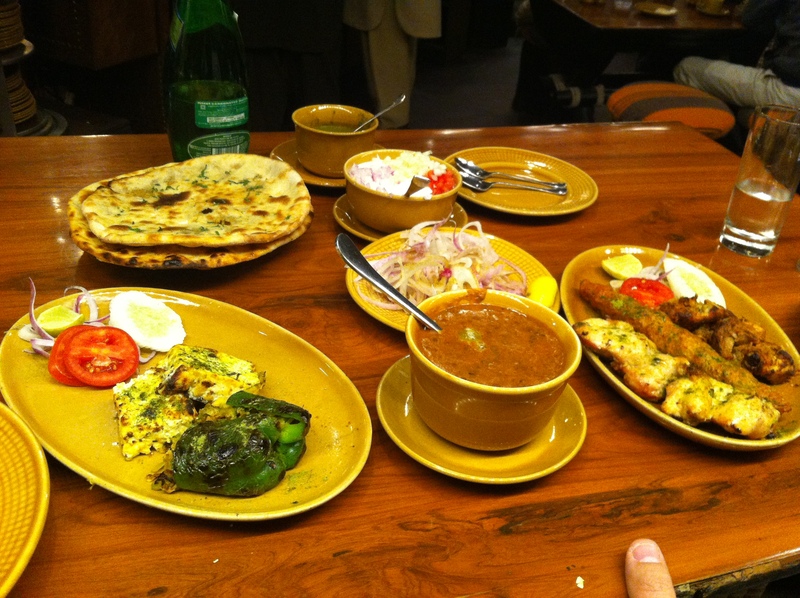 The husband and I also treated ourselves to a top notch Indian restaurant in Delhi. 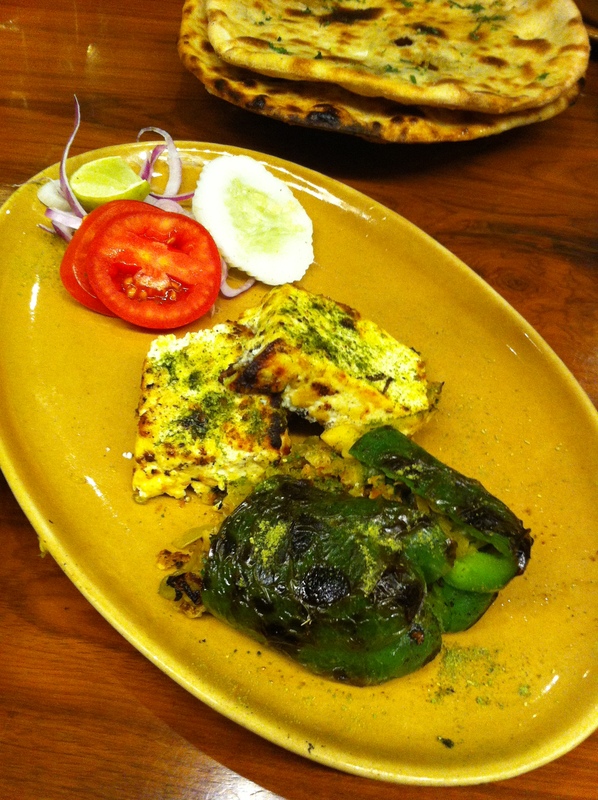 Bukhara was recommended to us by friends who went to Delhi before the wedding. The told us that they ate the Clinton menu when they were there. That’s right, the Clintons, as in the former President and his daughter Chelsea. 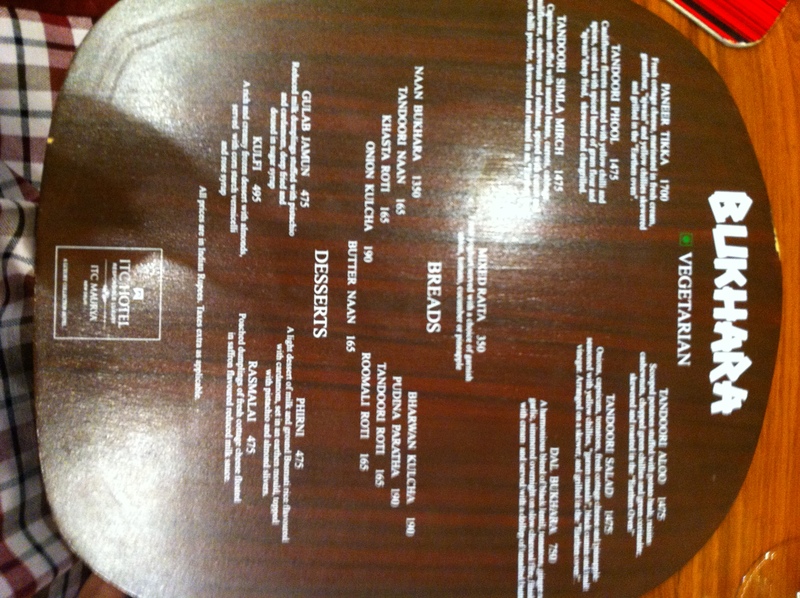 In honor of their visit, the restaurant created a special menu for them and now offer the menu for non-world leaders. Our current President has also eaten there, but we didn’t see a special Obama menu. 2. Before I make you jealous with the photos of the food, take a peek at the table before the food arrived. What’s missing? Silverware! No knives, forks, or spoons are put on the table at the start of your meal at Bukhara. And before you think that this is some hole in the wall mess where everyone eats with their hands, this restaurant has been voted “Best Indian Restaurant” four years in a row by the UK magazine “Restaurant.” It’s a little pricey in rupees, too. No messing around! You can ask for silverware if you need them, but the husband and I were stubborn and insisted on figuring out how to do this without forks and spoons. That basically means using lots of bread! No complaints from this girl! And much easier than chopsticks. 3. Another unique aspect of this restaurant is that guests have a view into part of the kitchen. From where we were seated, we could watch the naan go into the stone oven, see the plates being prepared, and catch a glimpse of the meats coming out of another stone oven. That was pretty cool. It certainly provided our entertainment for the night! I especially enjoyed when the guy making balls of dough for the naan tried to toss one to the guy stretching them out and missed, throwing the ball into the stone oven instead. He got a dirty look from his partner! 4. 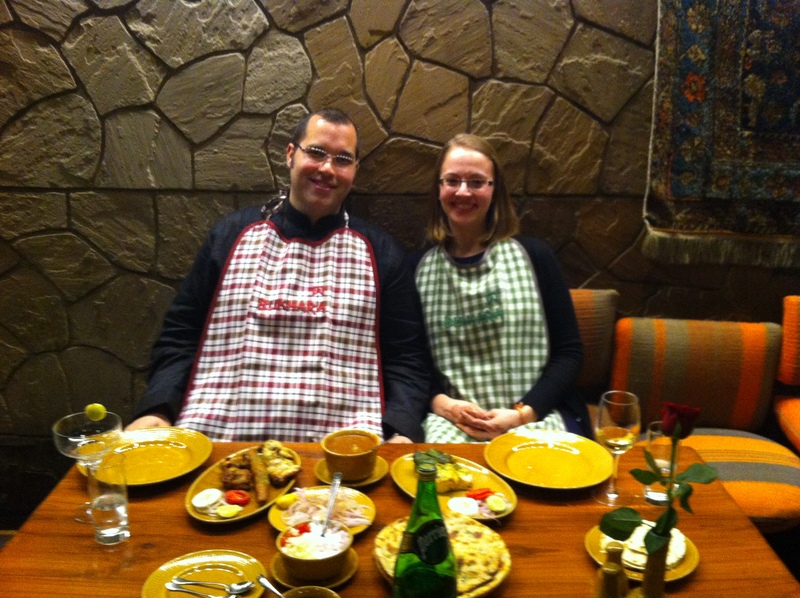 Another fun part of the Bukhara experience is the grown-up bibs that are offered to every guest. They are even color coordinated based on what the guest orders. Since I ordered vegetarian, I got a green bib, and the meat-eating husband got a red bib. Some people turned them down because they thought they would look silly or something. We don’t look silly, do we? I need to go back to Whole Foods to get black lentils, eh? That looks amazing. I love the bibs.